Description Photo courtesy of Jean Irwin Hoffman. 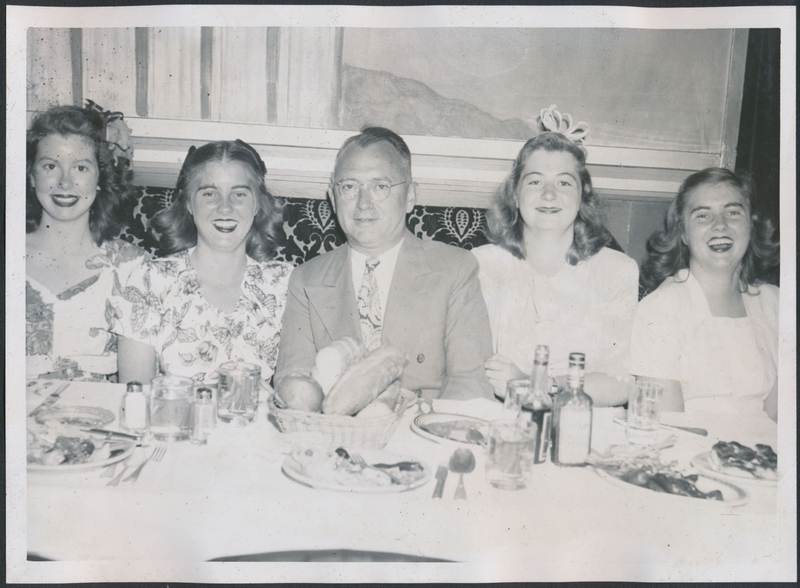 The Irwin family of Lake Oswego, Oregon dining at the Riviera Club in San Francisco. From left to right are: unidentified, Joan Irwin, Howard W. Irwin, Doris C. Irwin, Jean Irwin.